How to Plan ahead for Parties and SAVE MONEY!!! This may seem like an impossible feat but I PROMISE you it is not!!!! You know when your son will graduate, praise God! You know your best friend is having a baby and wanting you to plan her shower or maybe a reveal party, so much FUN!! 1. If you KNOW your daughter loves Princesses and while you are in the store you see party favors that have princesses on them for ONLY $.20.. BUY THEM!!! 2. If you KNOW (Or anticipate) your son will graduate the year before hand then be on the lookout for the clearance goodies. You can find tons of things without dates. For example plates, cups, napkins, tablecloths. These tiny things add up and I have purchased them for as little as $.10 a package!! 3. If you KNOW that you LOVE football after Superbowl buy your favors for next years party! I went to a store and purchased 2 tablecloths, 4 packs of napkins, 20 party favors (koozies in the shape of a referee shirts SO CUTE!! ), hanging footballs, and 100 plates for $2.90!!!! Wow right?? 4. For the baby shower look outside the box…just because it’s a baby shower doesn’t mean your plates have to have a baby on them. At every store check for colored items to match your party such as candle holders, ribbons, chargers, quirky containers for silverware, and even try consignment stores for something out of the box. *Please note those awesome dress notepads w/ pen were purchased on clearance at $.50 originally $3 a piece. Other items such as rings, stickers, and swords (for the knights) were purchased in bulk at the $1 store. 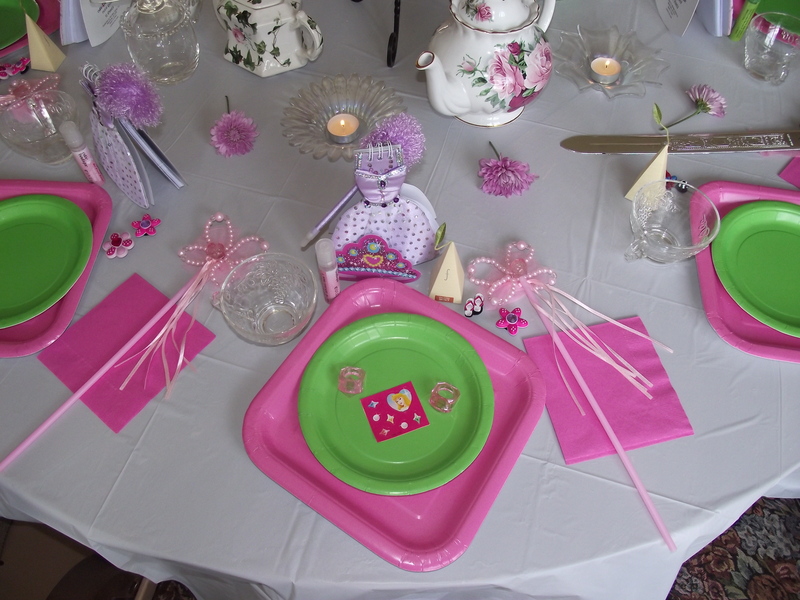 Entire place setting for each guest ONLY $3.25!